HAVE NEVER MADE any attempt to hide my passionate devotion to the works of composer Arvo Pärt (born 1935). In fact, I have gone out of my way to talk about him whenever possible. (Here, for example, is a piece about his life-changing discovery of Gregorian chant.) Not only do I love his music, I also love his wise words about music and musicians. Even though he is famously reticent to speak, it’s also true that once he gets going, we can always expect profound insights. It is said that many works of art from earlier times appear to be more contemporary than works of today. This combination of “art” and “contemporary” is in itself absurd. However, what are we to make of this? Certainly not that a musical genius has a prophetic eye for future centuries. I think that the so-called contemporary nature of Bach’s music will not disappear in the next 200 years, since, from an absolute point of view, it is simply of an integrally higher quality. The secret of this “contemporary” character lies not so much in how greatly the author embraces his time, but more in the way he perceives all of existence, with its joy, its suffering, and its experiences. … Art should concern itself with the eternal, not the contemporary. Is this not a salutary corrective against the idolatry of the present―the mood that our times demand something specific to them that is somehow different from what is simply demanded by human nature, its quandaries, exigencies, and aspirations, or from what is called forth by the encounter with the mystery of the living God? The reason Bach’s music can never grow stale or irrelevant or inaccessible is that he is speaking the cosmic language of the human heart, not the local vernacular of a momentary human society. We can apply these insights to sacred music, especially to the Gregorian chant and Renaissance polyphony repeatedly singled out by the papal magisterium. Their very rhythms and melodies, textures and syntax, speak to us of the spiritual, the eternal, the numinous, the consecrated cosmos in which Jesus Christ is the Eternal High Priest and we are the living members of His Mystical Body. It sounds like a cliché to talk about timeless music, and yet there are identifying features of chant and polyphony that guarantee its timelessness, its perennial suitability for the act of divine worship. To speak thus is to speak at the level of musical style, of pure music. But we must not forget the texts, which are the directive principle, the underlying motive, the burden of the communication; it is these texts that summon the chant and the polyphony to announce them worthily, to be their servants in the work of beautiful proclamation. 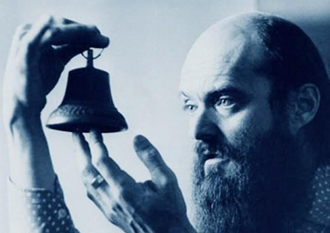 In this connection I was struck by Arvo Pärt’s remarks about why, when writing a choral work, he always chooses sacred texts, even though his commission may leave him free to choose any text. I have always allowed myself to be guided by texts that mean a lot to me and that for me are of existential significance. It is a root that reaches very deep and that lifts me upwards. It is basically the same fruit that has nourished the world for centuries. If we view a period of two thousand years we recognize that people have changed very little. That is why I believe the sacred texts are still “contemporary.” Seen in this light there are not significant differences between yesterday, today, and tomorrow because there are truths that maintain their validity. Mankind feels much the same today as he did then and has the same need to free himself from his faults. The texts exist independently of us and are waiting for us: each of us has a time when he will find a way to them. Now, re-read this passage while thinking about the Propers and the Ordinary of the Mass―the Introit, Gradual, Alleluia, Offertory, and Communion antiphons, the Kyrie, Gloria, Credo, Sanctus, Benedictus, Agnus Dei―that have given shape and meaning to the Eucharistic sacrifice for 1,500 years. Are these sacred texts not perennially, permanently, intrinsically contemporary, proclaiming truths that always maintain their validity? And is that not one of the many reasons we moderns, already prone to excessive change and pluralism, need the unifying, stabilizing, and consolidating effect of the sacred chants and sacred texts handed down to us?